Microsoft has re-introduced MSN which looks totally different than its previous pattern and view. 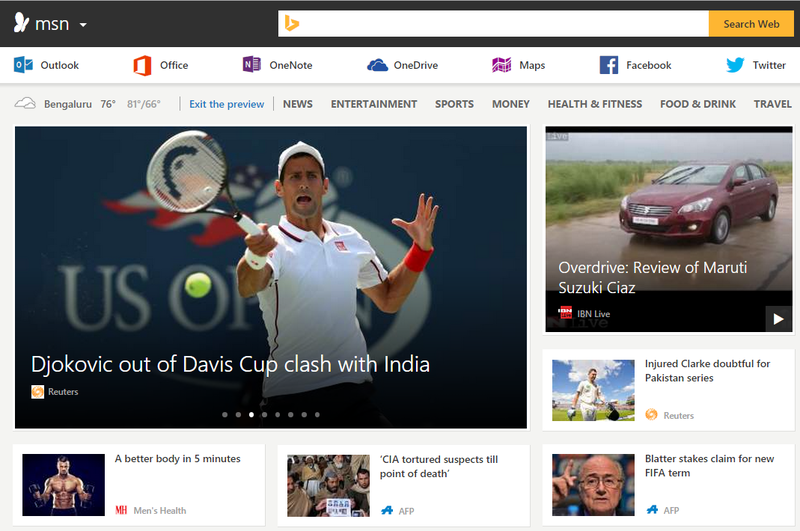 A major makeover on MSN website has been made. It encourages viewers with the company’s mobile and cloud strategy . They also emphasize on “premium” content from media partners and offers quick access to personal productivity tools via its Services Stripe at the top of the MSN homepage. It also offers shopping lists, a savings calculator, a symptom checker and a 3D body explorer. Moreover it enables users to customize the site by reorganizing categories and interests to suit their tastes and requirements. Microsoft also revealed that it will release a suite of MSN apps across iOS and Android to go with its corresponding Windows and Windows Phone apps. Users have to make a list of the favorite links and then the preferences will be connected across MSN, Cortana, Bing and other Microsoft services. Here you can find the new MSN website : preview.msn.com.